I’ve been thinking about death lately. Mostly because of what happened to my Aunt Jenny. I think it’s because the randomness of it just blows my mind, but I guess death just has that kind of effect on people. Making the randomness of life seem, well, you know, random. I mean I always heard about snakes coming up through people’s toilets, but I just thought it was like one of those urban legends. Like alligators in the sewers or republican socialism. I mean it’s not supposed to be one of those things that actually happens in real life, but it did. My cousin Tommy found Aunt Jenny sitting on the toilet, dead as a doornail. Of course at the time he didn’t realize she was dead since it was pretty common to find his mother passed out on the toilet. Especially after she had one of her all nighters dancing along side Mr. Jose Cuervo. Unfortunately Cousin Tommy’s usual remedy of pouring ice water down her back side. Followed with a tomato juice and Alka-Seltzer chaser didn’t work in reviving her, because she was, well, dead. Just sitting there on the toilet with a surprised look on her face. No one was quite sure what had happened until the coroner took her off the toilet and there it was. A dead snake, just floating there. As strange as it sounds I felt a little sorry for that snake. Apparently Aunt Jenny was on a high fiber diet, so that snake got a face load when it bit her on her back-end. I guess that’s what some would call poetic justice but it still seems like an awful way to go if you ask me. And while I felt sorry for cousin Tommy’s loss, it was the randomness of it that truly haunted me. I mean truth be told, Aunt Jenny was a mean old cuss, so there was only so much mourning one could do for her, but the way in which she went really got you thinking. I mean you’re here one minute doing your business on the toilet, and then the next a snake bites you on your back-end, sending you off to the great beyond. I mean if that doesn’t hurt your mind just thinking about it, I don’t know what will. I mean she was taken from this plane of existence in a random act of randomness. Which doesn’t seem at all as nice as being taken in a random act of kindness, and not nearly as profound as being taken in a random act of, oh hell, I don’t know, profoundness. If that’s at all possible. I mean, I have to tell you, this thing has got me looking at life in a whole different light now. Not to mention it has me thoroughly checking the toilet before I do my business, because you never know when the cruel hand of fate is going to come and bite you on the rear; literally. All I have to say, is that I hope when my random end comes. That I, like Aunt Jenny, sitting on that toilet of ill-fated destiny, will also have the opportunity to slap fates cruel agents of randomness in defiance. Whether it be with my metaphoric hand or like in Aunt Jenny’s case, metaphoric flatulence. Let me go down swinging, because if this has made me realize anything, it’s that life should be more than a random act of randomness. Also it made me realize the city really needs to do a much better job of cleaning the wildlife out of the sewer pipes. Random Act of Randomness was performed by Tyler Tanner in the January 2013 Eclectic Voices monologue show We’re No Heroes at The Eclectic Company Theatre. Jeff Folschinsky’s plays have been seen at various theaters across North America. He is also creator and staff writer for Perilous and The Trials and Tribulations of Vicky Vixen, a serial late night soap opera spoof at the Eclectic Company Theater in North Hollywood, California. Jeff’s plays The Unsinkable Bismarck, A Pill By Any Other Name Is The Wrong Dosage, Rendezvous and Revelations and Kisses From Abroad are published by One Act Play Depot. His full length play Turkey Day that had it’s world premiere at The Eclectic Company Theatre, is published by both Norman Maine Play Publishing and Big Dog Play Publishing. His play he co-wrote with Tyler Tanner The Singing Bone is published by JAC Publishing. Jeff has written and produced the popular podcasts Virgin Falls, Pasiones Obsesionantes, The B-Movie Bastards and Cult Movie Cuisine. Jeff has also written a movie with Tyler Tanner and Stephanie Wiand called Revenge of the Bimbot Zombie Killers which was directed by Joe Camareno and is due to be released later this year. thouǥht this рost was great. I do nott know who you are but definitely you’re going to a famous blogger if you aren’t already 😉 Cɦeers! 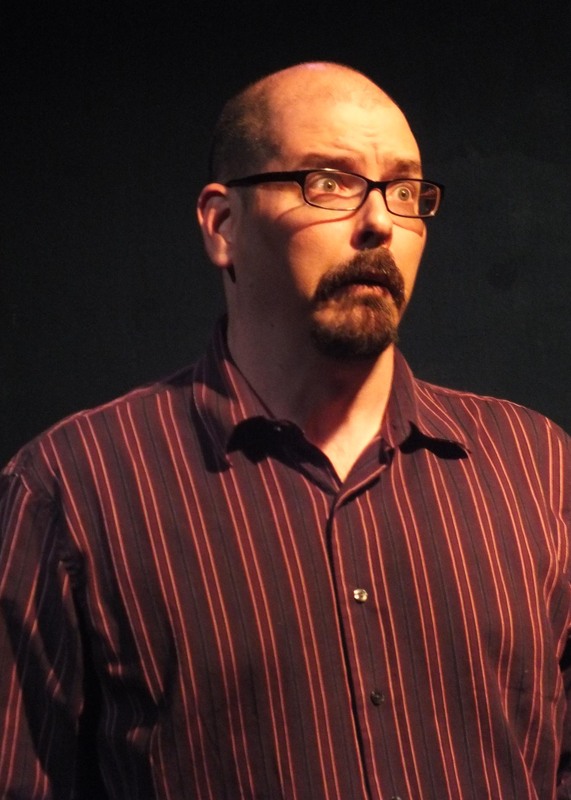 This entry was posted on February 10, 2014 by Eclectic Voices in Monologues and tagged #eclecticvoices, #lathtr, #newplay, eclectic company theatre, eclectic voices, emerging, jeff folschinsky, monologue, performance, Tyler Tanner.